Kenzo celebrates spring with an invasion of flowers. 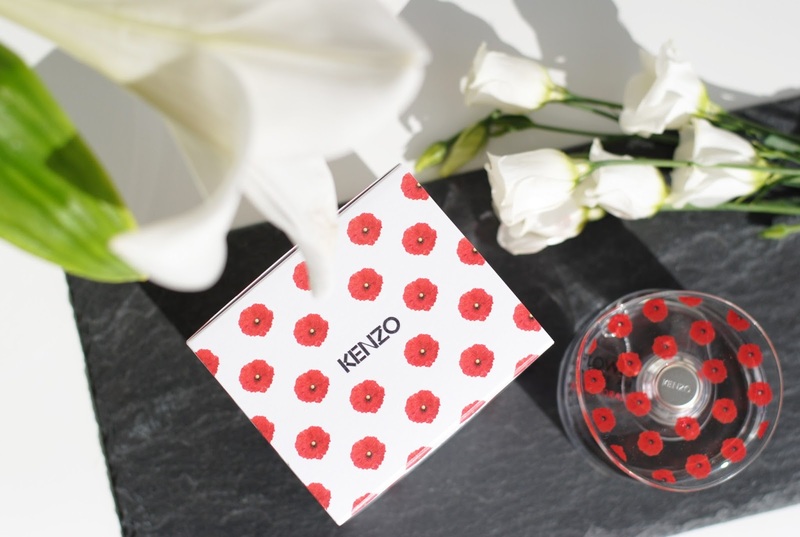 The poppy is a Kenzo symbol, playful and untouchable. Poppies grow everywhere, they even peep through cracks in concrete. They're an endless motive as an ode to love. Kenzo celebrates their optimism and their energy. 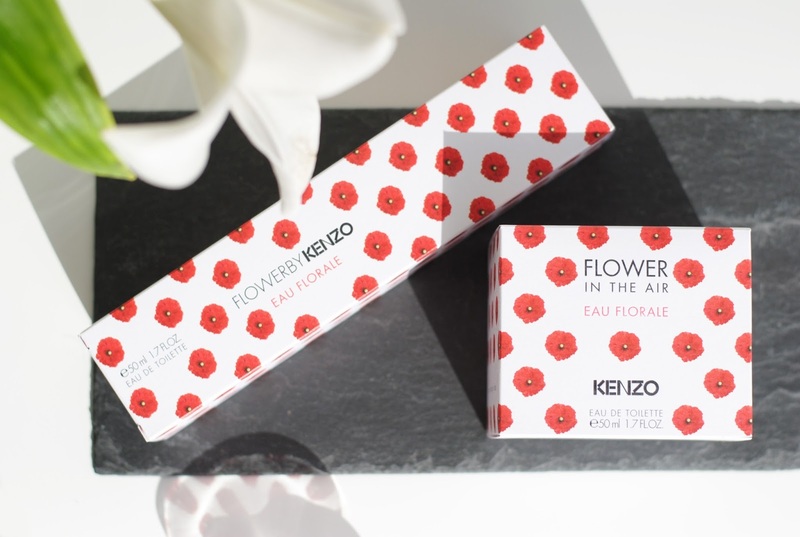 The first new fragrance is 'Flower By Kenzo - Eau Florale', a new, modern and fresh eau de toilette. It's an ode to the energy and renewal of spring designed by Alberto Morillas. 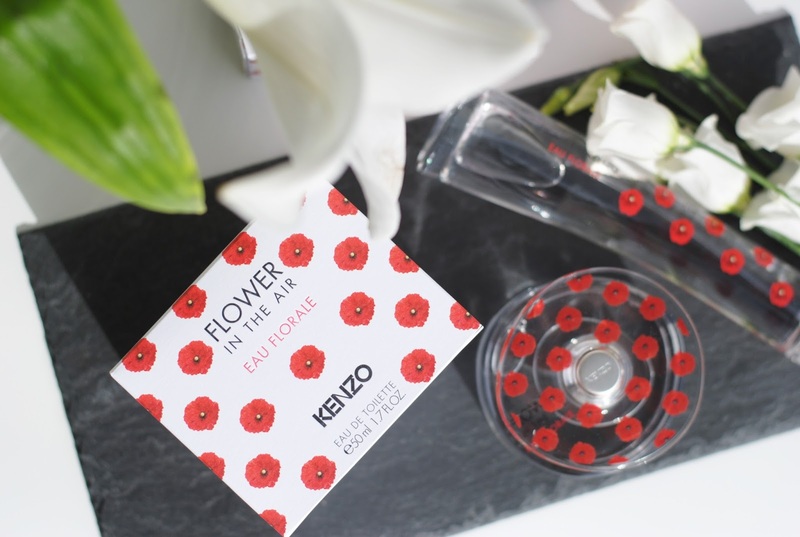 Bulgarian roses are the heart of the Flower by Kenzo Eau Florale fragrance. 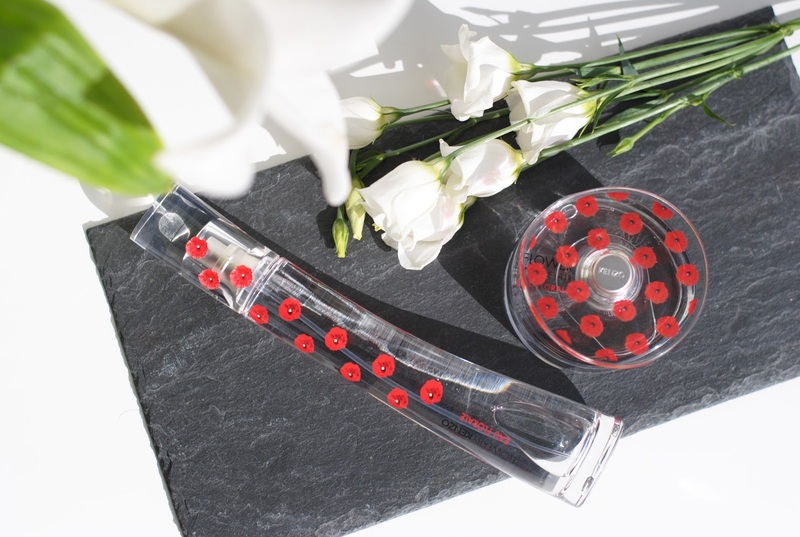 This time combined with peony petals, rose buds and freesia which gives the delicate floral touch. 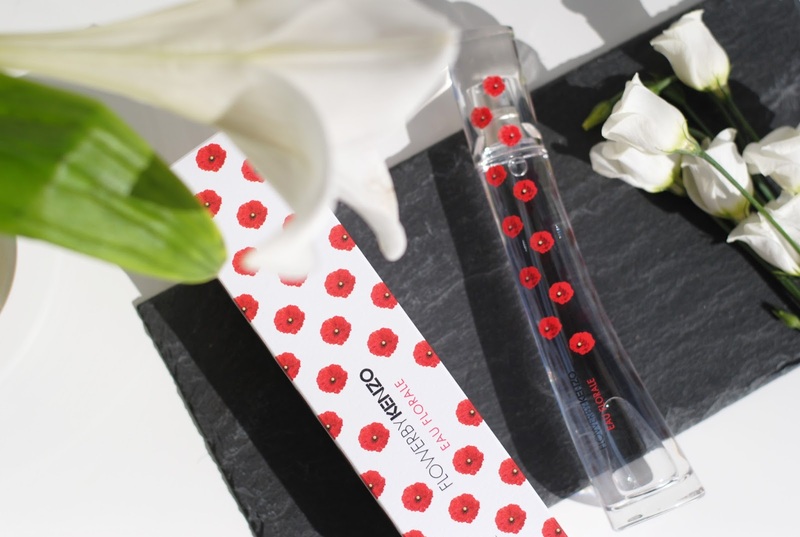 The scent opens with pink grapefruit and vanilla and white musk are the base notes. 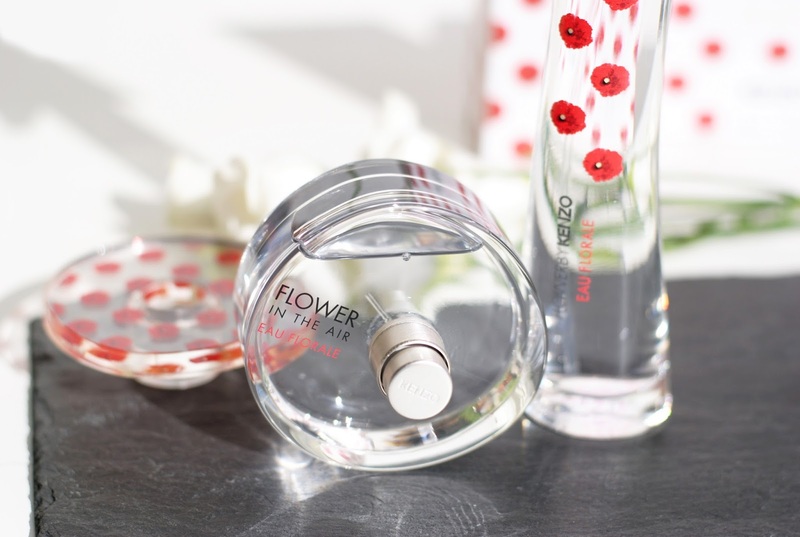 The bottle has the tall, slender look that we know from the previous Flower versions. 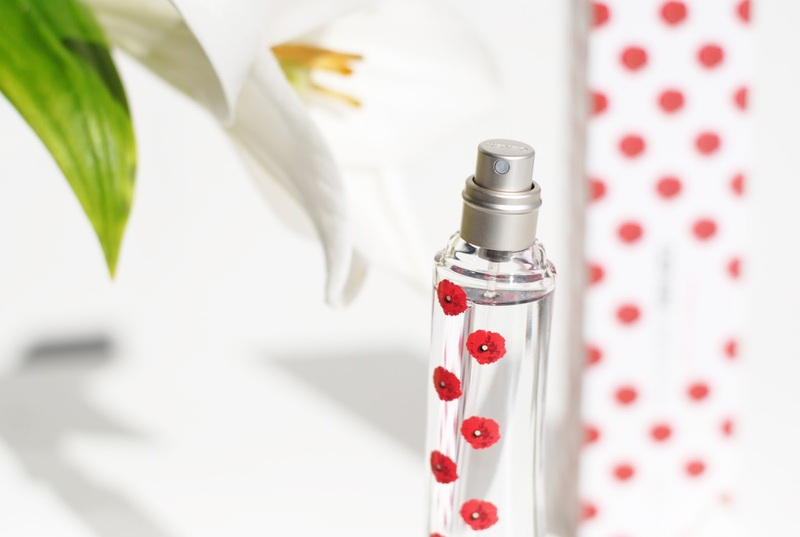 It has a few poppies on front, and I personally like this bottle more than the original bottle. Much more playful. 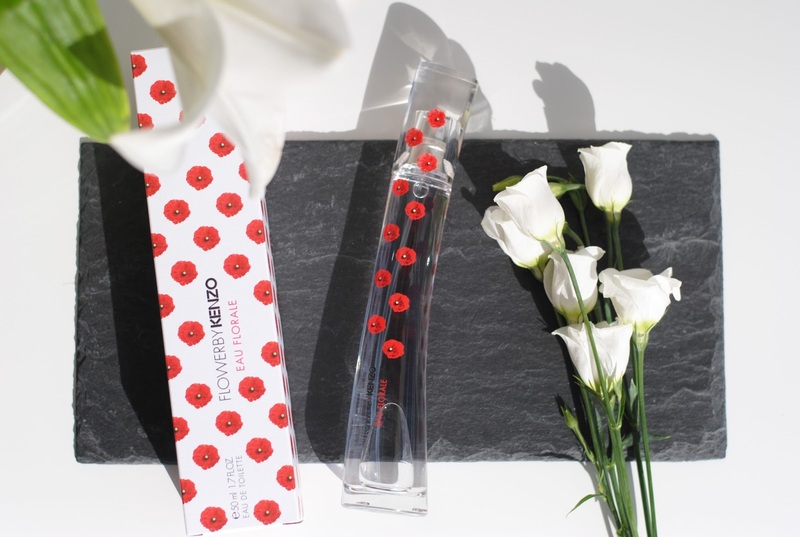 This fragrance is spring in the city according to creator Alberto Morillas. For Flower In The Air, Eau Florale he kept the flower petals and the musk. The flowers are overwhelming: roses paired with pear blossom and some jasmine petals. The passion fruit top note gives energy and happiness. 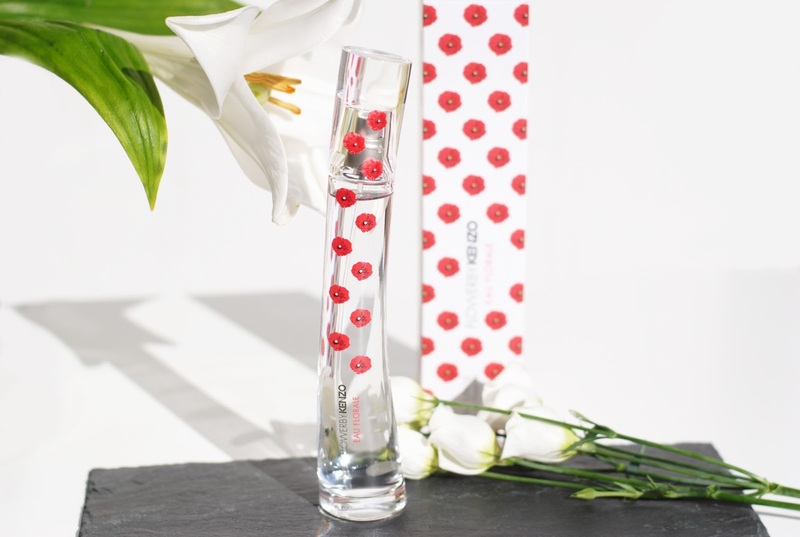 Important is is the solar accord, which gives clarity and gives the spring vibe to the fragrance. The bottle looks so cute. The big cap is painted with poppies. 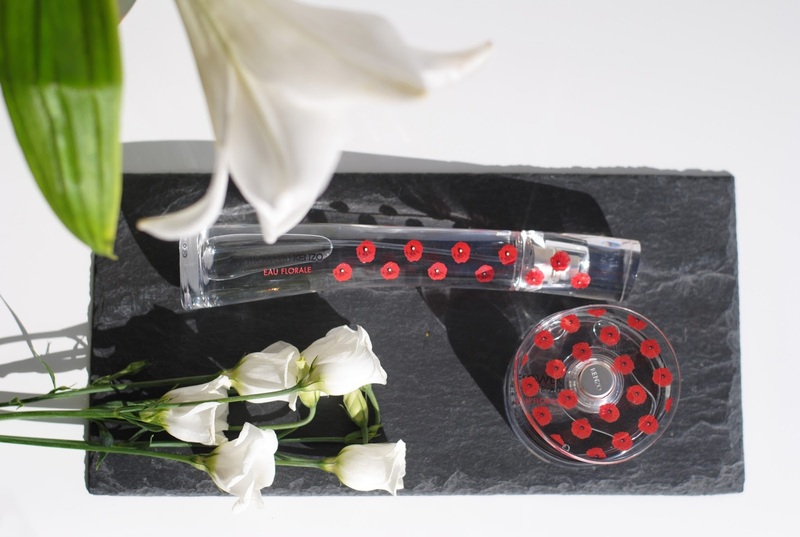 It has the same poppies and vibe as the tall Flower bottle. So the 'Eau Floral' fragrances are completely in the same style. These are two very wearable fragrances, which will reach a big crowd I'm sure. They both are floral yet absolutely not overpowering. They are balanced out in their composition. 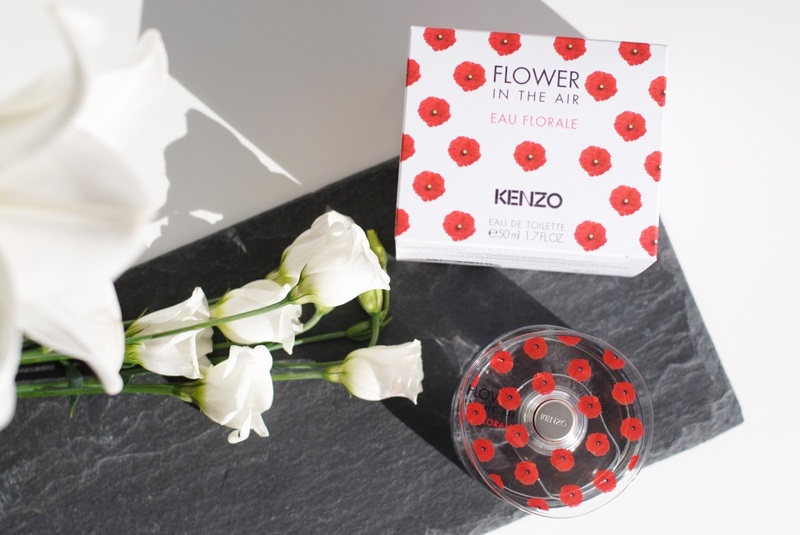 Flower By Kenzo is a bit sweeter because of the fruity top notes and the vanilla. 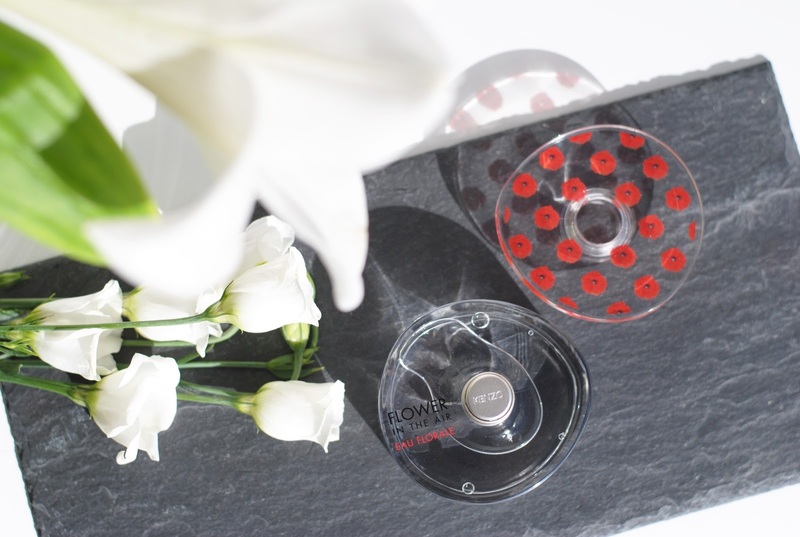 Flower In The Air has a freshness because of the pear blossom, woody and solar notes. Both very different fragrances if you smell them, but both really good and suitable for everyday wear. 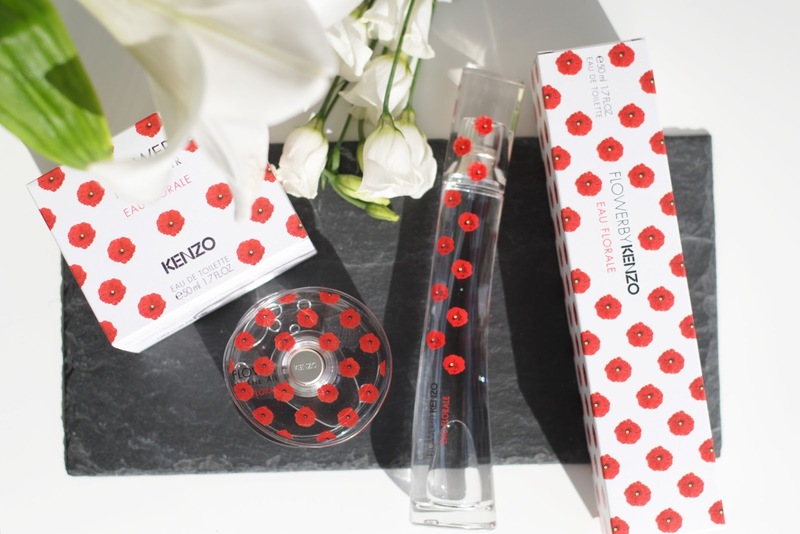 Have you ever tried a Flower fragrance by Kenzo? 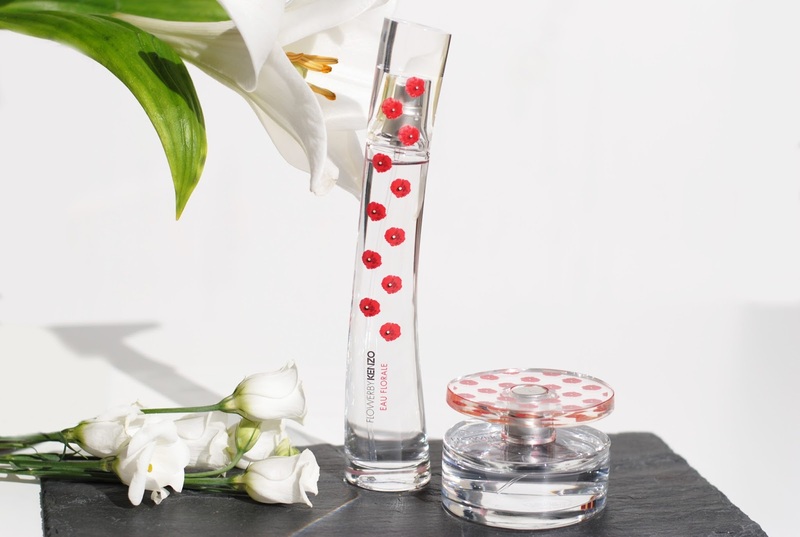 Kenzo always has beautiful perfume bottles and these two are no exception, they look great! So cheerful! Van jouw parfumfoto's word ik altijd zo hebberig! Beautiful pictures. Definitely wanna give this a whiff! Ik vind de flesjes er echt heel mooi uitzien, ze klinken ook enorm goed. Ik ga zeker eens ruiken als ik bij ici paris kom! The packaging is sooooo cute!